Waze has added a new feature to their popular navigation app that will help drivers avoid traffic tickets by monitoring speed limits on their behalf. The new feature will warn drivers when they exceed speed limits. The move might also be a step by Google towards placating critics who associate the Waze app with reckless driving and other negative behaviors. With the help of 360,000 volunteers, Waze developers collected speed limits for roads around the world and has used this data to create a feature that reports speed limits on the drivers’ maps. When a vehicle passes this limit, the app sounds a warning until the driver goes below the speed limit. The Waze app has created a stark division between drivers and other road users. The shortcut finder has brought traffic into once quiet neighborhoods instead of letting them stay on congested roads, and many residents in affected regions are not happy about this. A lot of complaints have been lodged against Waze app users. Not only have they been accused of speeding and disregarding road signs but they are also blamed for bringing noise into neighborhoods that were once considered serene. Streets that have direct connections to main roads have suffered most from these inconveniences. But the persons complaining more vocally are the police. Since the introduction of the app, it has become more difficult to arrest reckless road users since the app keeps drivers informed about the whereabouts of officers. Even speed cameras have been rendered useless since the app updates users about their locations. The police also believes that the app may be used by criminals to target them. This claim has especially been cemented by a 2014 incident in which a man shot and killed two NYPD officers. The shooter is said to have tracked his victims using the Waze app. In attempt to prevent such incidences in future, authorities have constantly nagged Google to remove the police notification feature. Interestingly, the police themselves are benefiting from Waze. One of the conditions that users must accept before using the app is that they allow Waze to share personal information with law enforcers. There is however a noticeable vagueness on the amount and nature of information shared. Users could actually be revealing themselves to the police more than they think. While Google chips in once in a while to defend their app against media and government criticisms, the “battleground” has mainly been left to Waze users who are doing their best on social media and other platforms to paint a good picture of the app. On the issue of reckless driving, one argument that has been put forward is that knowing the whereabouts of the police actually promotes safe driving. In short, if drivers are constantly getting alerts of speed cameras and the presence of traffic police, they will likely curb their speeding overall. There are reports that some of the shortcuts recommended by the Waze app have been blocked by local residents. Some have said that the reason they are doing this is to take drivers back to the main roads “where they belong”. But Waze proponents claim that they also contribute taxes for the construction and maintenance of these roads, hence they have the right to use them. The supporters of Waze also claim that it has helped to reduce congestion on roads by spreading traffic out. Considering that such traffic congestion brings annual losses of billions of dollars in the USA alone, the contribution by Waze to reduce these costs should not be downplayed. It is also interesting that in Brazil and at least five other countries, governments are using the Waze app to solve traffic problems. 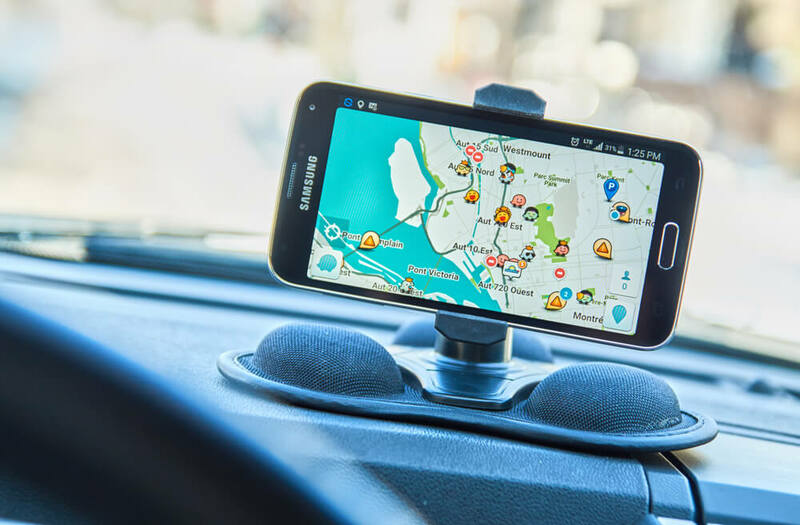 Apart from the users’ own contributions, authorities use Waze to channel information about construction projects, accidents, weather and other important details to drivers. The addition of the speed limit feature is therefore likely to do more in neutralizing the negative image that has been painted of Waze and its users. Nevertheless, it is possible that some people will ignore the new Waze feature just like road signs are often disregarded. For drivers who find thrill in breaking the law, the new feature might even provide motivation to flout their rebellion, but more likely most users will just disable the feature hence it might not bring much change.